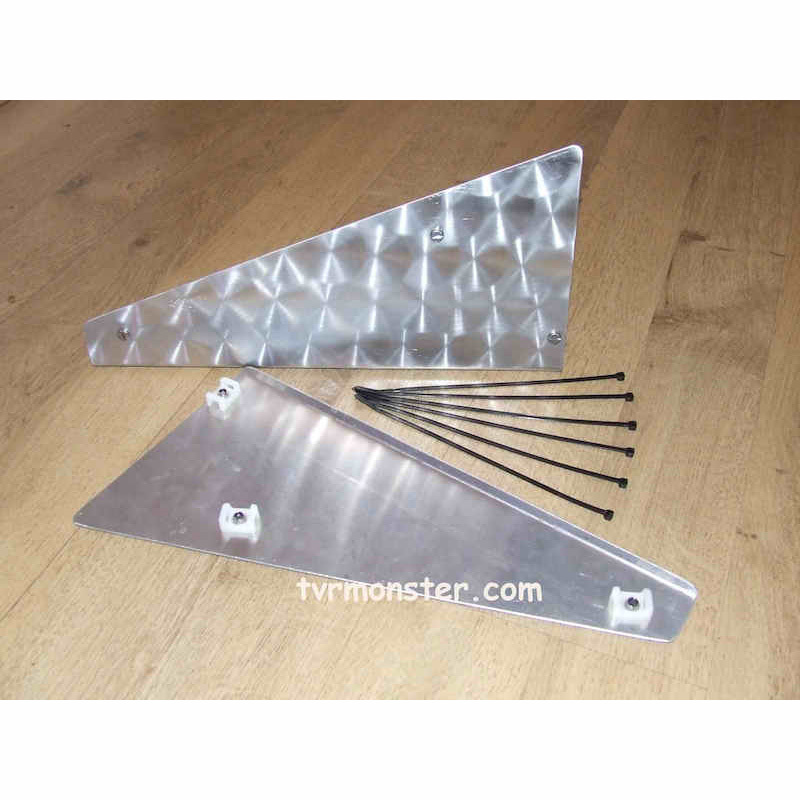 View basket “Chassis Plates TVR Griffith” has been added to your basket. The outriggers are a known point of concern for all TVRs, and we put these plates on our Griff after we noticed the problem in 2000. That problem is that the front wheel effectively sandblasts the chassis with debris from the road, especially on the Kerbside in the wet. These high quality aluminium plates are attached with nylon fittings (to ensure no metal to metal contact) and can easily be removed with a snip from some side cutters. Simply clean your outriggers (we recommend spraying with WD40 or a chassis grease) then affix the plates. The wheel can stay in place but it is easier to do if it’s removed. If you only ever buy one thing from us…make it these! REPLACING OUTRIGGERS IS A COSTLY BUSINESS!